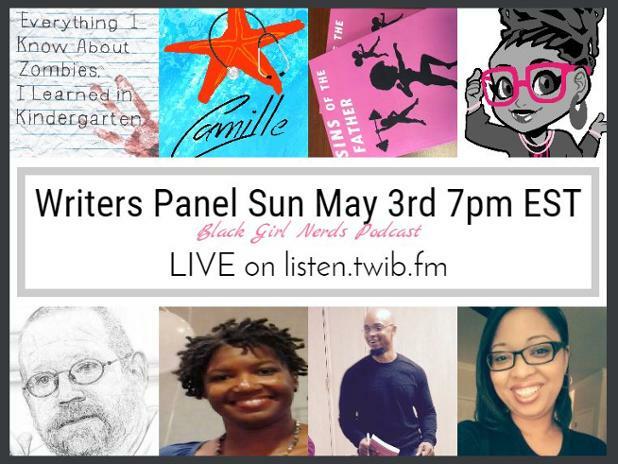 I will be interviewed in the Black Girl Nerds podcast on Sunday, May 7, 7 pm EDT. The interview will be hosted by Jamie Broadnax, founder and khaleesi of Black Girl Nerds. WOOT! Tell a friend or three! I will be on a panel of three self-published authors (I’m the lone female author), along with Thelonious Legend (Sins of the Father, the first in the Parker Girls YA series) and Kevin Wayne Williams (Everything I Know About Zombies, I Learned in Kindergarten). We’ll be talking about our respective works, and I will especially bring up The Bastille Family Chronicles: Dominic, which is the next installment in the Bastille Family Chronicles series (the first was The Bastille Family Chronicles: Camille). It drops next week! Double WOOT! Also…keep your eyes and inboxes peeled next week, as I do my first-ever book giveaway for all three of my titles, It’s gonna be epic!